@TrustWalletApp Great app guys! Been waiting for something like this for a while. Sleek, user friendly, easy to use. @VitalikButerin I've been super impressed with the entire execution of @trustwalletapp - iOS, Android, GPL Open Source, Dapp browser, arbitrary ERC20 tokens, 721 support. @ORCA_Alliance @TrustWalletApp Smart move to partner with an already established and secure wallet, so that you can focus on your core domain! Store your AION with confidence — Trust Wallet. 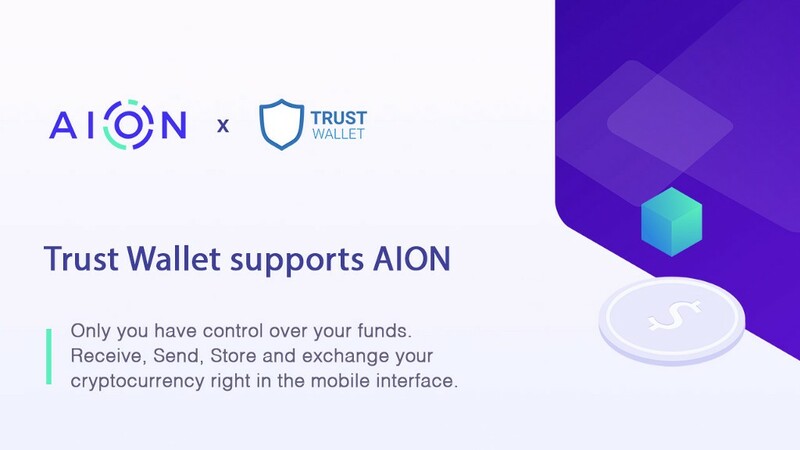 Trust Wallet Adds support for AION was originally published in Aion on Medium, where people are continuing the conversation by highlighting and responding to this story.